There’s a gazillion sites out there if you want the detailed skinny on how sake is made so without getting into too much technical detail here’s the crash course in sake. Sake (or Nihon-shu or seishu as it is technically known in Japan) is a fermented alcoholic beverage made from rice, water, yeast and koji mould. It is not rice wine and it is not a distilled spirit. Sake is sake. On average, it sits around 16% -17% alcohol. Not much more than wine and significantly less than spirits and most liquers. Sake has anywhere from 1/10 to 1/3 the acidity of wine, depending on the wine and the sake. Sake contains no preservatives and can be sweet or dry or anywhere in between. Firstly, rice is polished, washed, soaked and then steamed. Unlike wine grapes which naturally contain the sugars required for fermentation into alcohol, sake rice contains no fermentable sugars. This is where the koji mould comes in. 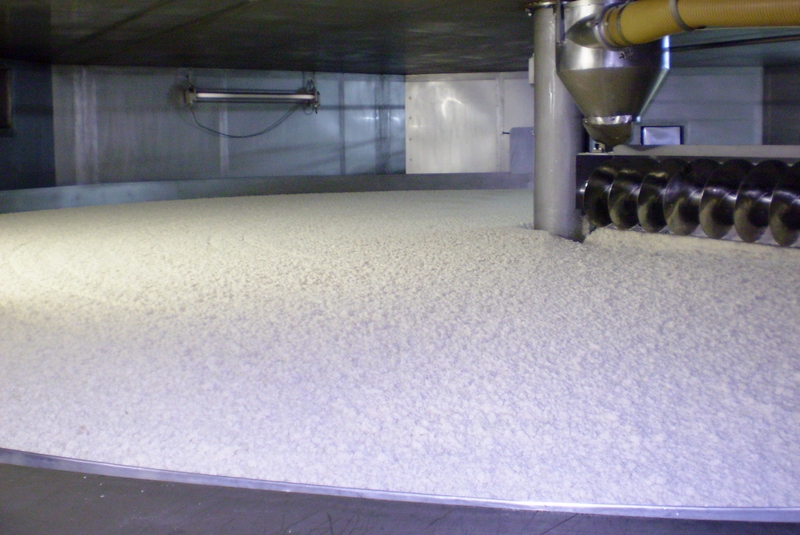 The koji mould is propagated onto the rice creating the enzymes that will convert starch into fermentable sugars. This is then added to a starter mix with water, yeast and more rice. What makes this process interesting is that unlike wine or beer the yeast being added to this sugar creating process means you’ve got the sugars being created and fermenting with the yeast all in the same tank at the same time. 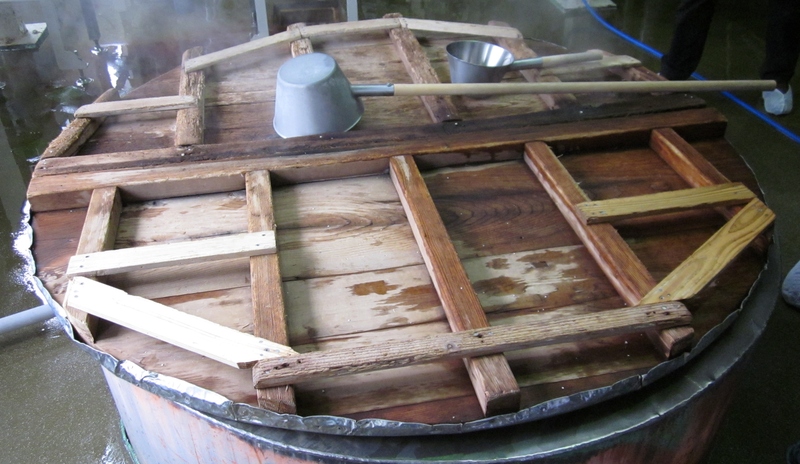 Obviously such a volatile process requires strict control and skill on the part of the Master Brewer (toji). To make one batch of sake this process is actually repeated three times. It is then left to ferment for a further twenty to thirty days or so. It is then pressed, filtered, pasteurized, stored for a further variable length of time cut with water, bottled, pasteurized once more and shipped out. (Depending on the style of the sake some of these steps may be skipped). Before any of the above take place one of the most important steps is milling the rice. Rice is milled or polished to remove the outer proteins and undesirables to leave a finer starchier rice. 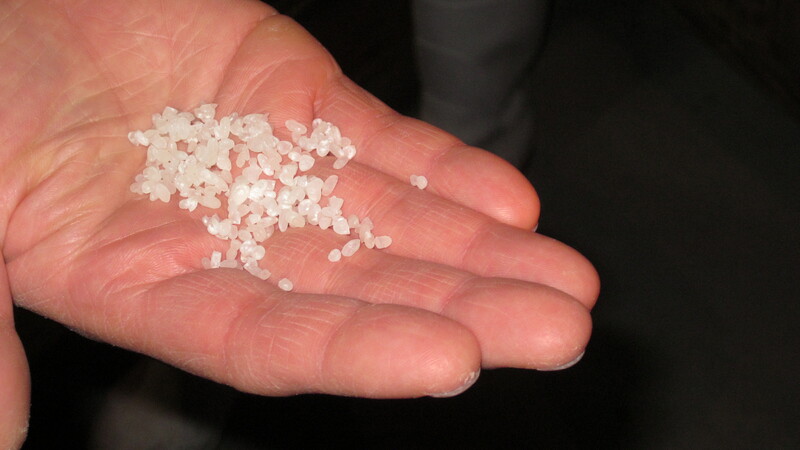 The more rice is milled away the higher the grade of sake. Most sake will have this information on the label. The figure given is the amount left behind. So if it says 60%, that means 40% was milled away and only 60% of the original rice grain remains. Futsu-shu (regular sake)普通酒: Like most alcohol, there is the cheap stuff and the good stuff. This is basically the cheap stuff however its by no means necessarily bad. In fact if you hunt around some real gems are out there. It’s the stuff that will probably appear if you go to your local Japanese restaurant and order hot sake. There are no limits for rice milling and neutral flavoured alcohol can be added in generous amounts to increase yields. Another type of sake called sanzoushu is cheaper and with more alcohol added and sugars and other additives not allowed in higher grades. Junmai 純米 & Honjozo 本醸造: Junmai means that there is no added alcohol ie. rice, water, yeast, koji and that’s it. If it’s a junmai it will definitely say so on the label. Junmai sake can use rice milled to any rate but it’s usually around 70%. As we now start to split sake into two camps we have Honjozo (true brewed sake). Honjozo differs from junmai in that it contains an addition of brewers alcohol. This is added in the final stages of the production process to enhance aromas by dissolving some of the tasty bits left in the final sake which would normally just be filtered out. In quality sake this is purely a technique used to enhance aromas and not a method for increasing alcohol content or increase yields as may sometimes be the case in futsu-shu and further lower grades. There are some people out there who think junmai is the be and end all. That’s fine, but I personally believe the alcohol adding method is a valid brewer’s technique and at the end of day the sake made in this way tastes pretty damn good to me. Honestly, it’s also pretty difficult if not impossible to distinguish the two styles with surefire accuracy. Honjozo will often tend to be a little lighter and aromatic whereas junmai will be more full bodied and earthy. Generally speaking of course. This is where the fun really starts. Ginjo is basically the premium end of sake. This is where sake gets a bit more refined, aromatic and elegant.It can be either junmai ginjo or just ginjo (which will indicate that alcohol has been added). The rice milling rate must be a minimum of 60%. In other words at least 40% of all the rice being used must be milled away. Next up is Dai-Ginjo (ultra premium). This is usually the pride and joy of sake breweries. This style requires the most hands-on care and attention to detail. Rice must be milled to at least 50%. Note that either of these styles can also be junmai at the same time if they do not contain any alcohol additions. These would be labelled as Junmai Ginjo or Junmai Dai-Ginjo. If it doesn’t say junmai, it is aruten (alcohol added). Tokubetsu 特別 This means ‘special’ in Japanese. You will see this prefixed to either junmai or honjozo as an indication that something extra or special has been done. This may be milling the rice more than is required for the grade or using a higher grade of rice or an unusual variety of rice or yeast strain. Basically it’s up to the brewery as to what makes it tokubetsu. Nama 生 Most sake is pasteurized twice before leaving the brewery. Once before storage and once after bottling. If either or both of these pasteurizing steps is omitted it will be labelled nama. Namazake is fresh, lively and zippy. It will almost always be drunk chilled and also stored refrigerated to prevent still-living enzymes from becoming active and possibly ‘turning’ the sake due to its fragile state. Yamahai 山廃 & Kimoto 生酛 These two styles are the original ways of making sake. Up until 1909 most sake was junmai made in the kimoto style. In the early stages of preparing the mash the brewers would use large poles to pulverize the rice, water and koji into a puree like consistency. They believed this was necessary to get the starches converting to sugars for fermentation. This technique was called yama-oroshi. In 1909 researchers discovered that this was not necessary and that fermentation would still take place with a little more water and a slight increase intemperature. So, yama-oroshi was abolished/discontinued (haishi suru). So, taking the first part of yama-oroshi and putting it with the first part of haishi (abolish) we get yama-hai. The main way these two differ from modern brewing techniques is that yamahai and kimoto rely on natural occurring bacteria to create lactic acids that will find their way into the mash and take care of any undesirables. In modern brewing this lactic acid is added by the brewers. The other main difference is time. The kimoto and yamhai techniques take up to twice as long as the modern brewing method (known as sokujo method). Despite the painstaking efforts required to make these sake, there are some breweries that continue to make them. They are often gamey, rich and higher in acid. There are a few other styles out there which we’ll look at from time to time but this is essentially the gist.